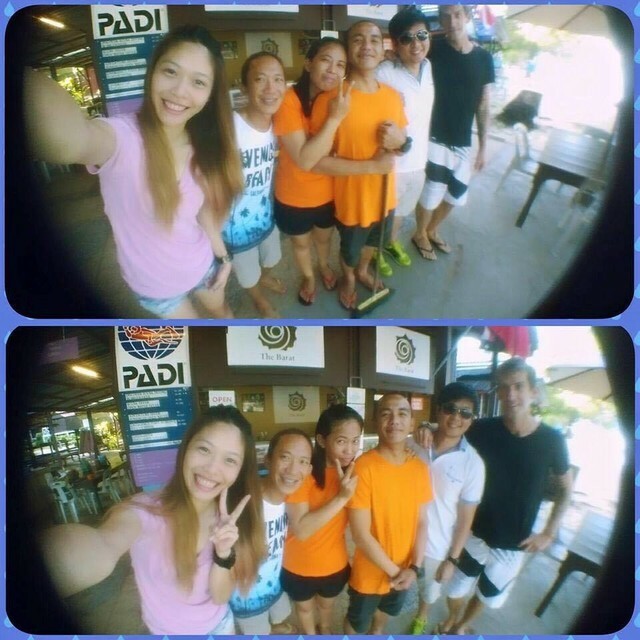 It was a surprise to everyone else, especially to myself when i had get involve in diving, for exactly 2 years now. People that know me well, knew that I'm fear of water, probably slight aqua-phobia, due to my almost drown case at my young age. But, here I am, a certified advance diver. I would always want to thanks my boyfriend, @kienfei , for introducing me to this beautiful world of diving, had me open up myself to socialize, (i were introvert - divers are too friendly that make me slowly blend in too), from only know nemo,turtle and shark to now able to identify pufferfish, nudibranch, scorpionfish, barracuda, pipefish, frogfish, and my favourite mola-mola~ From at first being force to go to take open water course, to now forcefully have my boyfriend to go diving with me, diving had became my ultimate hobby, my interest. If possible, I would like to dive whenever i got the time, it is a perfect sport that able to have my mind rest, get away from reality, listen to your own breathing, everything is just so calm when you relax down there. Well, i think not just every girl but everyone should be scuba diving. Before I scuba dive, I don't give a damn about sea life, I never follow any news about sea. But afterwards, i had been following all the news, heart aching at all the sea pollution, nets trapping turtle, plastic bag trapping jellyfish, etc, Makes me realize that everyone, including myself did hurt the ocean before. But now I would minimize my damage to the ocean, by minimizing usage of plastic, never consume shark fin soup (one of chinese favourite dish during wedding dinner). It all started with scuba diving, i would say if one never get into it, they wouldn't know how much damage one can cause to the ocean.